Sipping a cocktail high up above the rooftops with views for miles is pretty hard to beat. Stockholm's a relatively low-built city, but there are still plenty of tall buildings, and charming rooftops, green areas and waterways to look out over. Take the lift up to tiny, tucked-away terraces or well-known hotel bars for a skybar experience with spectacular views over Stockholm. Since 2015, Urban Deli's "roof park" - a large, open-air area with a glass pavilion - on the ninth floor has been the place to go to hang out and look out over the city centre. Have something to eat or drink in one of the three bars, listen to music, eat tapas from Urban Deli's food hall and check out the 360 degree views - whatever the weather. A few buildings away along Malmskillnadsgatan lies Brunkebergs torg, where the hotels Hotel At Six and Hobo Stockholm share a rooftop bar with the restaurant TAK. The cuisine is Japanese-Swedish fusion and the drinks menu also includes Asian flavours such as shiso, ginger and tea. 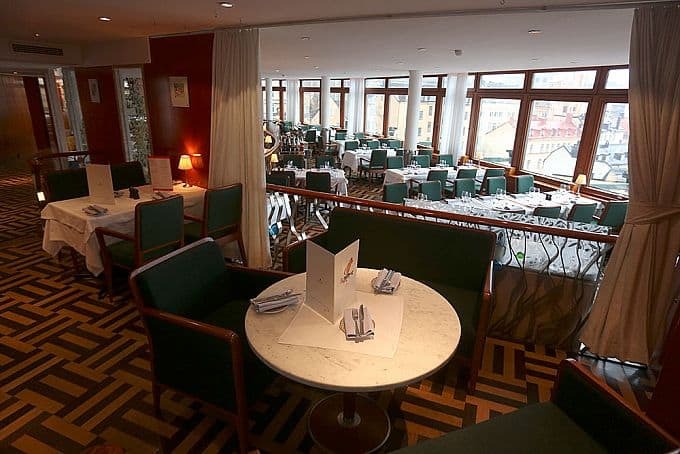 The Capital hotel bar has views over Riddarfjärden and guests can sit both inside and outside on the terrace. 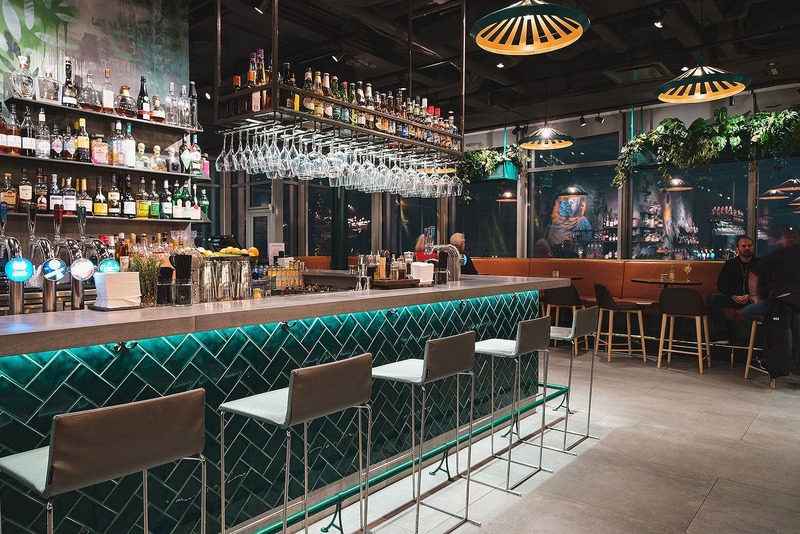 The bar menu includes just about any drink you can think of, as well as bar food, and you can stay well into the small hours seven days a week. 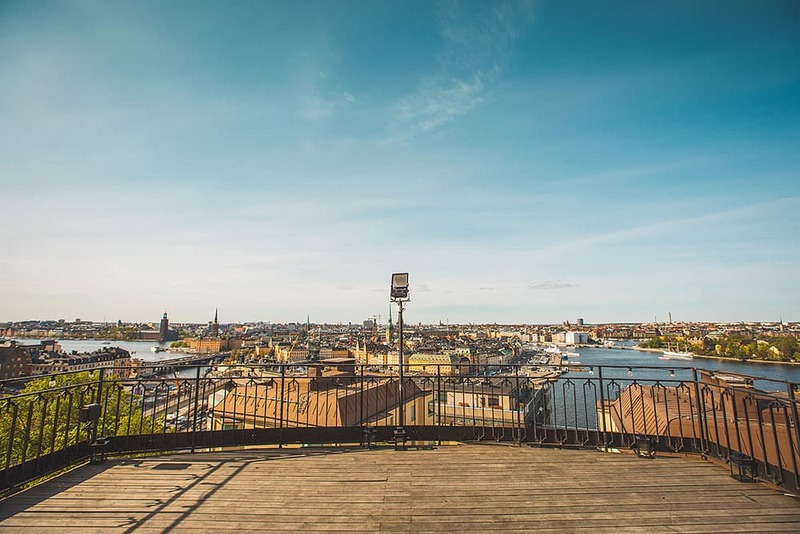 From right up at the top of the iconic old Skatteskrapan high-rise tower there are views over Södermalm and right out to the very edges of the city. 104 metres above ground you'll find the restaurant Himlen and the skybar with the same name. Quench your thirst with fabulous cocktails in the latter and eat light dishes from their lounge menu. Would you like to have a sauna, swim, relax and drink cocktails all in the same place? Then get yourself along to Scandic Camper on Brunkebergstorg. Right at the top of the hotel building you'll find the wellness area, The Nest, which serves cocktails, mocktails and healthy food for breakfast, lunch and dinner, along with magnificent views. One of Stockholm's most recognisable landmarks is the Katarinahissen lift above Slussen. 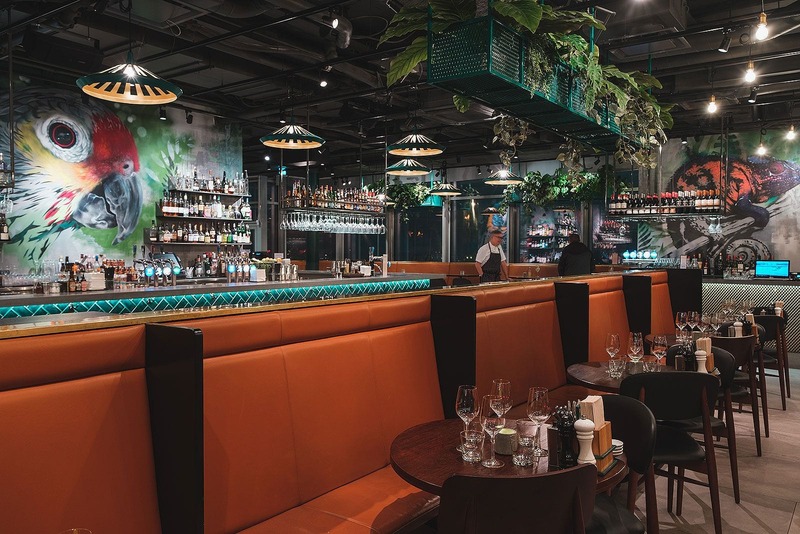 Inside, with views over the Stockholm harbour and all the way to the edges of the inner city, you can dine and drink extremely well at Gondolen. You'll find Södra Teatern's little hidden gem, Champagnebaren, a few flights up. This slightly "forgotten" terrace is bathed in golden light on clear evenings and the bubbles flow freely. The terrace is usually part of the venue's function rooms but is open to the public in the summer. 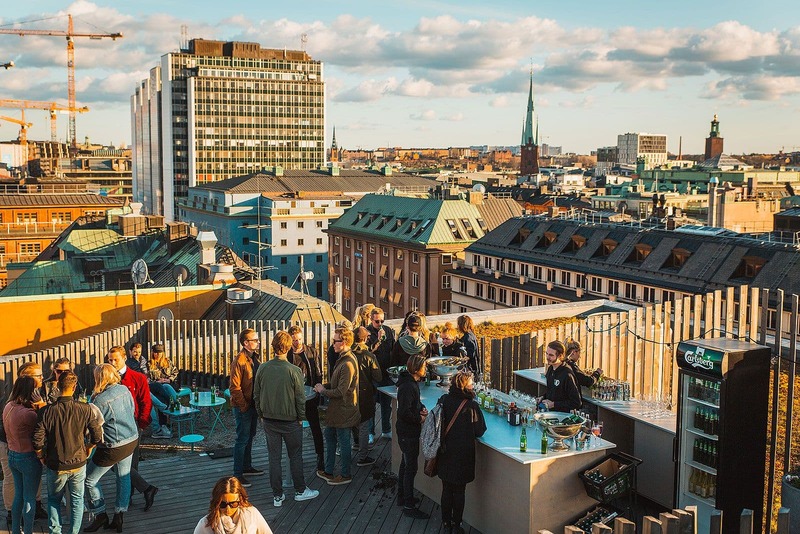 With views over the rooftops surrounding Stureplan, Scandic Anglais' tucked-away terrace on the seventh floor is a sunny place to enjoy a few drinks. There are often live DJs during the summer months. If you want to look out over the city from a distance the Quality Hotel Friends hotel in Solna boasts a skybar on the 25th floor serving French-Swedish cuisine. Take in the beautiful views through the circular windows, particularly at sunset when a warm light spreads right through the room. Sjöfartshotellet's roof bar Sailor is a real rooftop bar classic. 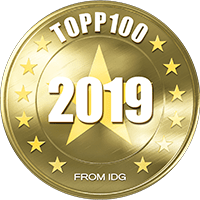 The place is decorated along the hotel's marine lines and boasts unbeatable views over the entrance to Stockholm harbour. South of the city in Stockholm's answer to the Meatpacking District, you'll find Slakthuset, which has become a popular watering hole for thirsty club kids. The huge terrace up on the roof attracts a more mixed crowd, with its sun loungers, palm trees, excellent cocktails and great music. 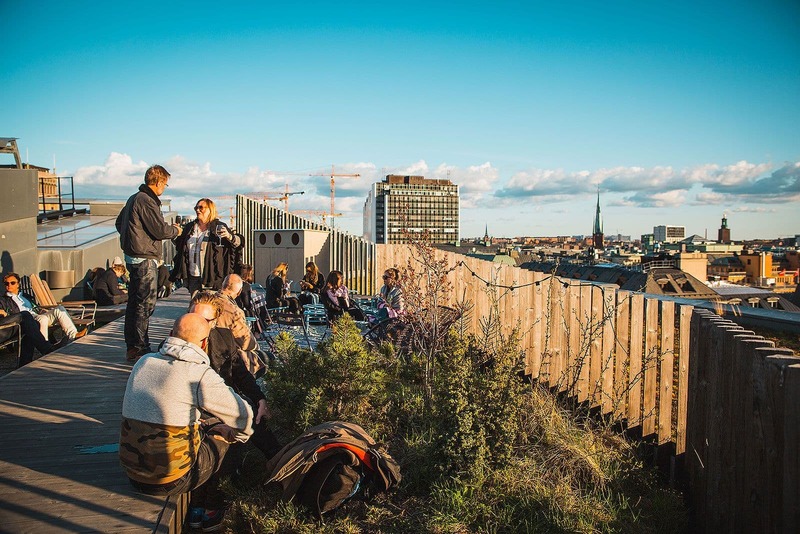 During the summer months, Barrio on the top of Hornhuset is the place to be in Hornstull. 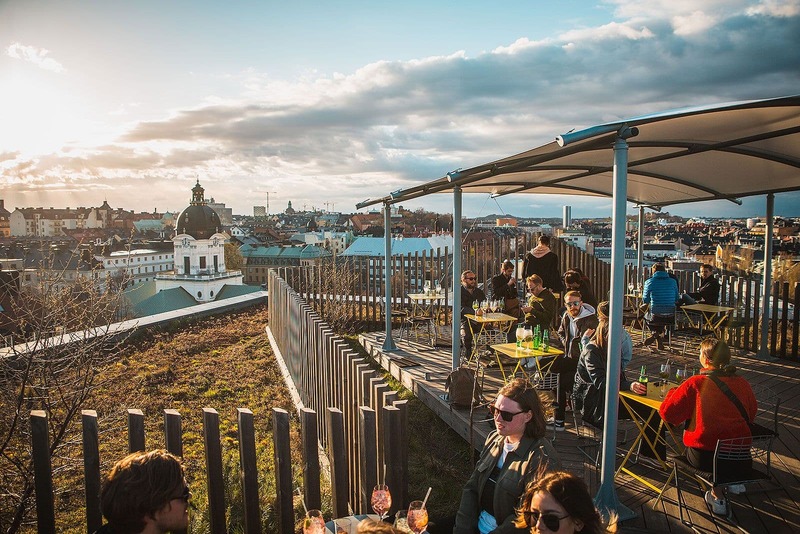 With views over buzzy Långholmsgatan, enjoy great music and simple food in brightly-coloured surroundings on this hip rooftop terrace. 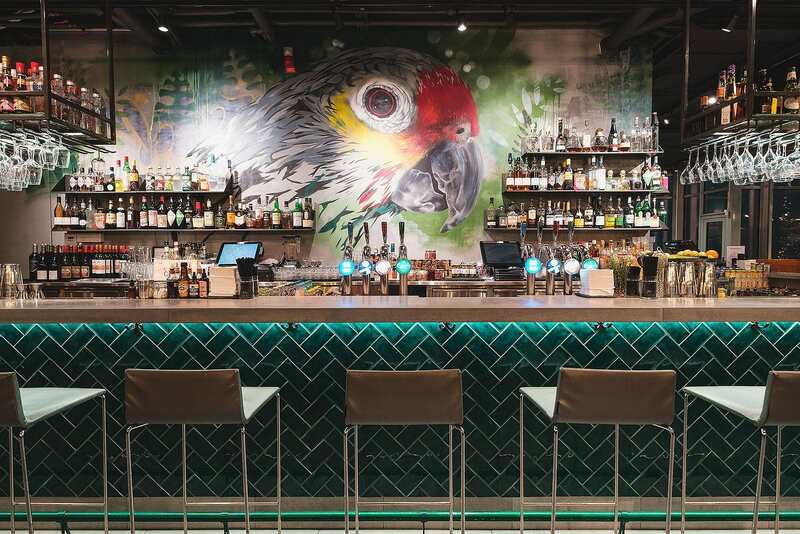 Quench your thirst with exotic cocktails that suit the urban jungle vibe. 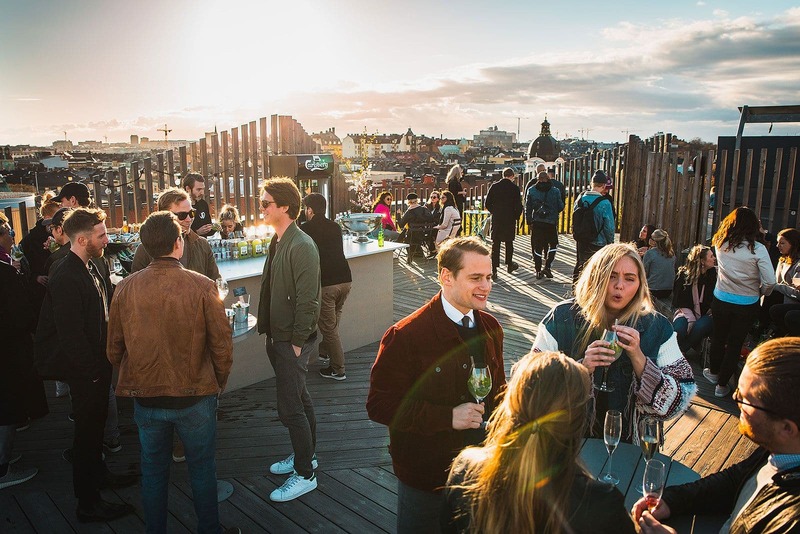 One of the latest additions to Stockholm's rooftop scene is SUS, short for Stockholm Under the Stars. From summer 2018 you can enjoy everything from food and drinks to an outdoor cinema, gym and live sports events streaming on a 1200 square metre large terrace, 47 metres above ground. The inspiration for this multi destination is thriving big city parks, but transported a few floors up. The guide to Stockholm's best roof terraces is updated regularly. 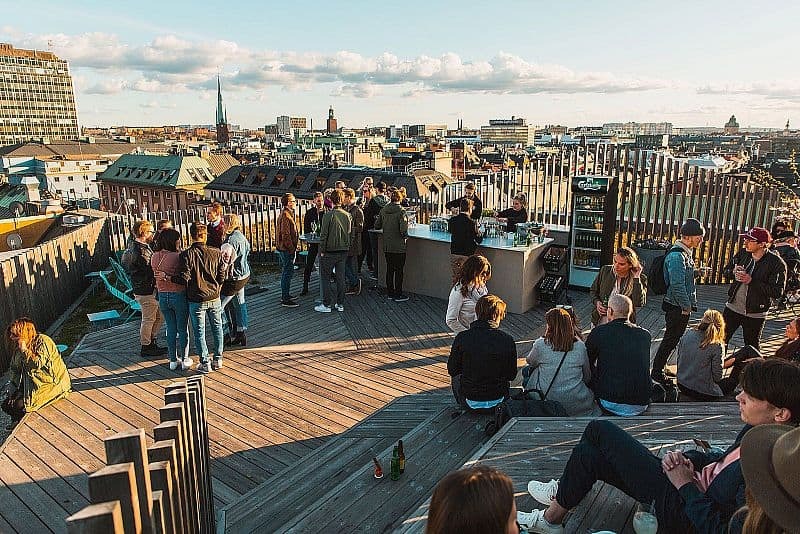 Email us at hello@thatsup.se if you know of any really great skybars or roof terraces in Stockholm that shouldn't be missed (which we have missed). Please also let us know if you spot any errors in the guide.